Nikon has announced the D3200 24MP entry-level DSLR that can be used with an optional WU-1a Wi-Fi module. The camera can now shoot up to 1080p30 video (rather than the D3100's 24p) and has a 920k dot LCD, up from 230k dots. Beyond this, and improved continuous shoot rate despite the pixel-count hike, the biggest change is the ability to add the Wi-Fi unit. The WU-1a will sell for a recommended sale price of $59.95/£54.99/€59 and will be able to broadcast to smartphones over a 49ft range. 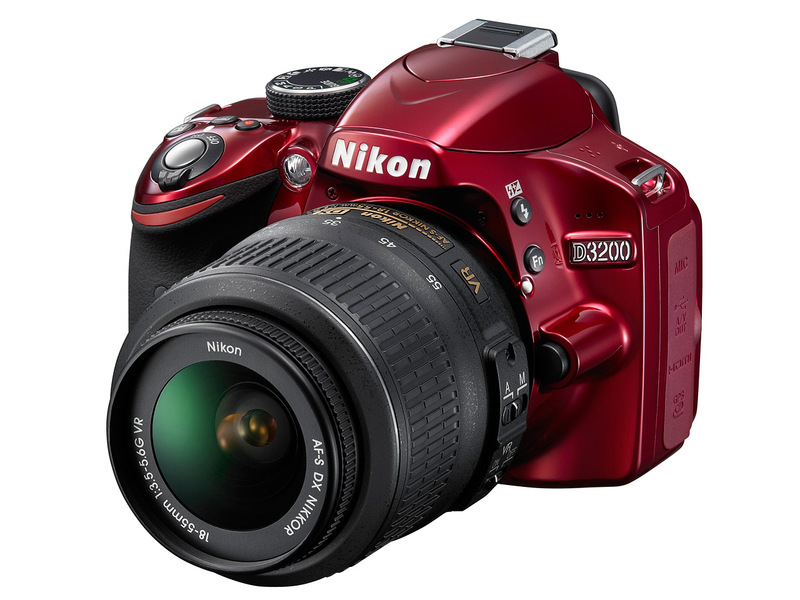 The D3200 is expected in late April at an MSRP of $699.95/£649.99/€699. The WU-1a will be available from May and will initially support image upload and remote viewing/shutter release with a free app for Android phones (version 2.3 and newer). An iOS version of the app will follow later in the year. Details are vague but we're told the app allows full-sized or VGA images to be transferred from the camera and that a live preview is available on the phone, but with only the ability to fire the trigger, not change camera settings. MELVILLE, N.Y. (APRIL 19, 2012) – Today, imaging leader Nikon Inc. introduced the new 24.2-megapixel Nikon D3200 HD-SLR; a camera designed for photo enthusiasts ready to step up to a D-SLR or for the busy family memory keeper with an active lifestyle who demands a camera that can keep pace. From low-light to fast action, the D3200 delivers the amazing image quality Nikon is known for, either indoors or outside. Whether new to photography or upgrading from a point-and-shoot, the D3200 features Nikon's acclaimed instructive Guide Mode to help unleash the photographer in everyone. From candid action shots to staged portraits that flatter, the Nikon D3200 provides the power to capture every moment easily and beautifully with stellar image quality and in stunning Full HD (1080p) video. Ready to tag along for any outing, the Nikon D3200's compact, lightweight body makes it easy to pack for a quick day trip or the long haul. A host of advanced features, including a super high resolution 24.2-megapixel DX-format CMOS sensor, Full HD (1080p) video recording with full time autofocus (AF) and 4 frames-per-second (fps) high-speed continuous shooting mode, prepare the D3200 for challenging lighting conditions and fast paced action. Also, Nikon D3200 users will be able to take advantage of the new WU-1a Wireless Mobile Adapter. When connected to the camera, this optional adapter can wirelessly send images to mobile devices like smartphones and tablets, preview an image before shooting and control the camera remotely. "When every moment is as precious as the next one, having a camera that takes the guesswork out of photography is important," said Bo Kajiwara, director of marketing, Nikon Inc. "The Nikon D3200 HD-SLR offers effortless functionality and easy-to-use connectivity to mobile devices that answers the call for a capable, entry-level D-SLR that will change how you share amazing images with your friends and family." The new Nikon D3200 delivers outstanding image quality no matter the user's skill level by leveraging Nikon's renowned technologies. The new 24.2-megapixel DX-format CMOS sensor allows for incredibly sharp images with stunning detail and less noise, while Nikon's EXPEED 3™ image processing engine helps to create clear, lifelike images and video with vivid colors, smooth tonal gradations and low noise. The Nikon D3200 grants users impressive performance in low-light, affording the ability to shoot with assurance even during night games and school plays. With a native ISO range that extends from ISO 100 to 6400, the D3200 can also be expanded to a high of ISO 12,800 for extreme low-light situations resulting in previously impossible photos. Additionally, Nikon's Scene Recognition System works in tandem with the camera's 3D Color Matrix Metering II to recognize factors such as color and brightness for balanced exposures, accurate AF, faithful white balance and beautiful flash photos. 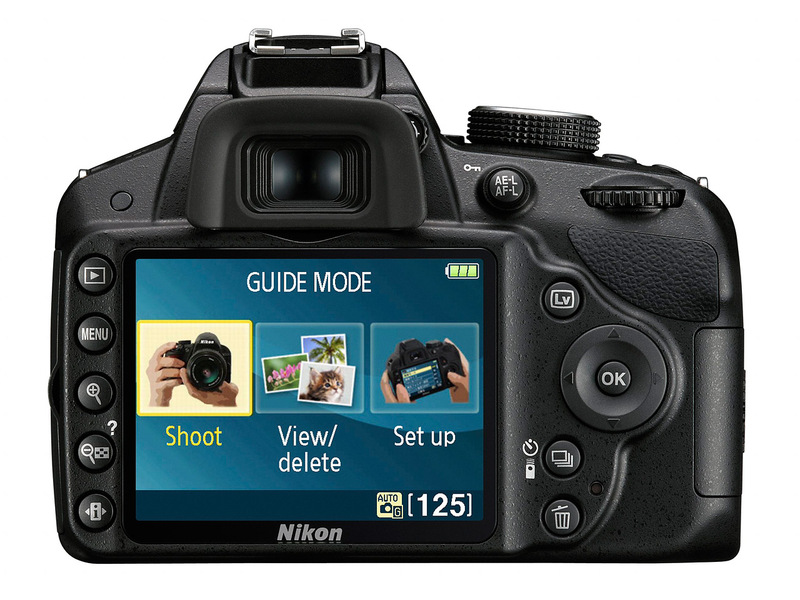 Beginner photographers as well as those looking to expand their repertoire of shooting techniques will appreciate the Nikon D3200's Guide Mode which provides step-by-step photo instructions to capture amazing images. Easily accessible through the Mode Dial found on top of the camera body, the Guide Mode walks beginning D-SLR users through the process of set-up, shooting, viewing and deleting images. Because it asks the user what kind of creative photo technique they would like to learn, the Guide Mode has been widely acclaimed for its ability to build confidence and give users the tools to create amazing images. As more people discover the benefits of replacing their camcorder with a D-SLR, the Guide Mode also walks users through the best video settings to create home movies with blockbuster flair. For those with a more advanced skill level, the Guide Mode features helpful Assist Images that serve as a visual reference to inspire users and illustrate the desired result, while guiding them through easy-to-follow techniques. 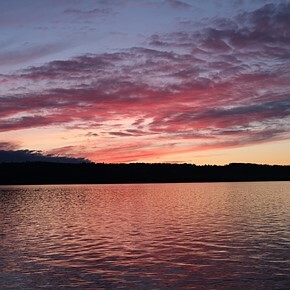 Further taking the guesswork out of photography, the D3200 also includes six Scene Modes. Photographers can set the Mode Dial to Portrait, Landscape, Child, Sports, Close-Up or Night Portrait, and the D3200 will automatically adjust camera settings for optimal results in a variety of conditions. When images alone can't tell the whole story, the Nikon D3200 offers the full HD experience of high quality 1080p video. Users can create memorable, cinematic quality videos at 24 or 30 fps and easily share HD content online with friends and family or on their own HDTV via the HDMI output. Continuing down the path that its predecessor, the Nikon D3100, started, the D3200 implements full-time AF during video recording to help capture crisp video even during the most action-packed situations. To boost the production value of any home video, the camera offers manual or automatic exposure control, and a stereo microphone input to attach an optional external microphone such as the compact ME-1 Stereo Microphone. Furthermore, the D3200 offers other HD-SLR advantages including the ability to create a shallow depth of field, amazing low-light video performance and NIKKOR lens versatility. Capturing videos on the D3200 is simple, even when in Live View. With a dedicated video record button and easy access to the Live View switch, users can capture video clips before the moment is gone. Additionally, videos play with astonishing detail and clarity on the D3200's 3-inch, high resolution 921,000-dot LCD screen. An active lifestyle requires a capable camera that is ready at a moment's notice, and the Nikon D3200 packs powerful technology to tackle just about any challenge. Delivering up to 4 fps in high-speed continuous shooting mode, the D3200 helps ensure that important, spontaneous and easy-to-miss memories are captured, from a baby's first smile to a game winning grand slam. Additionally, the D3200's advanced 11-point AF system allows the user to find and keep focus while maintaining a clear view of that subject. This advanced focusing system is ideal for capturing tricky subjects like a dancer mid-leap during the big recital or a dive for the line drive in centerfield. The Nikon D3200 outfit with the versatile AF-S DX NIKKOR 18-55mm f/3.5-5.6G VR image stabilization lens will be available in late April 2012 for a suggested retail price (SRP) of $699.95* in either Black or Red. The optional WU-1a Wireless Mobile Adapter, sold separately, will be available in late May 2012 for a suggested retail price (SRP) of $59.95*. 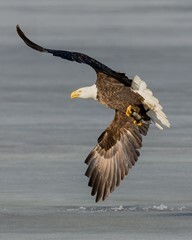 For more information on the Nikon D3200, NIKKOR lenses, additional Nikon D-SLR cameras and accessories, please visit www.nikonusa.com. It's a fine knock-about camera. The 24 MP sensor may seem gratuitous but with truly sharp lenses it actually serves a purpose: It can still out-resolve a sharp lens. There are alt lenses that'll fit on a Nikon body (with an adapter) that are well served by this wee DSLR (just not Tamrons or Vivitars). Also, lacking an AF drive, it can safely take vintage Nikkor glass going back before 1977 (non-AI, but no body/mount incompatibility). I have one from 1972 & another from 1968, beautiful portrait lenses (not sharp, but render beautifully). If you're capturing birds, get the best 300mm AF-S/AF-I internal non-VR prime you can afford. Nobody shoots birds in low light, & when they're in flight VR is nonsense. Get the good Nikon 1.4x teleconverter & after that don't be greedy: ( 300mm ) * ( 1.4x TC ) * ( 1.55 crop factor ) ='s 651 mm equivalent. I read some of your comments and I can tell you who this camera is for. It is for me I have reviewed a bunch of these things and although I am not a pro like you guys I like to take pictures of my kid playing baseball or at the beach. I have a casio exilim ef-25 takes 40 frames a second and video up to 1000 frames a second, Takes great pictures but I can't change the lens. 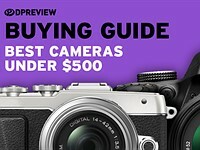 This seemes like a great camera at a great price so thats who buy's it. it's a toy, you guy's can have the 2000.00 + cameras. Just to be clear check out my website www.beautifulnewzealandphotography.com........I have had "pros" tell me that wow!! how did you get that definition and bring out the seaweed in that coastal shot and I told them actually I busted my 6x6 and used a crappy point and shoot kodak 7mp..they didn't beleive me! 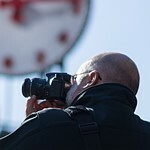 !.....I have a saying for these people "all the gear no idea" ...I been photographing for 20 years people think I am a pro....I do not...I think I am a passionate hobbyist but you can't say that on your website!! not if you wish to sell your work anyway! !......like anything.. your craft is a lifetime commitment...always learning...till the day I die and that is the way it is! !....so argue aperture and mp and sensor size and frame rate...I would rather go take a photo! !...hope you all had a good xmas!.. I just received mine. It’s small, it’s light and the Auto WB is extremely accurate. It nails most ambient light perfectly (even in a school cafeteria). This is the camera to take with you on a hike. Put whatever lens on it you want, put it in a hip pouch and go. It’s also the camera to take with you on a family trip, or a kid’s soccer match or school play. Whether you’re a seasoned photographer or a beginner, it’s an easy choice because of the price. The kit lens is all many people will need IMHO. The IQ is excellent, although the NEF files aren’t the best. You can always switch to M mode and take complete control of your exposure options. I like that Nikon included a +/- accessible next to the shutter release. Haven’t made a video yet. This comments are familiar, I have heard them in new versions since I got my papers in late 1964. The question is if you are trying to make a picture your equipment are not up to, you may need something better, but not as a rule... What I may not be able to do digitally I may prefer to make on 4x5" film with my Linhof Teknika or even the Speed, and in the middle I may use a 6x6 cm roll-film-camera or one of the Edixa 24x36 - 135 film cameras with removable pentaprism. In short: Things are getting better in many ways, but do that guarantee us that we are taking better pictures then...? Enough! I just actually bought a Nikon D3200 at Best Buy. It is amazingly light (even lighter than the Sony A55). The images are excellent and the camera is easy to use. Case Closed. I'm not sure what an entry-level dslr buyer needs with 24mp. I would think 16 would be plenty at this level. Save the 24 for the D400 or D7100, no? Year 2012 and still 12 bit raw file. Lol. Here we go again with your MILC is superior than basic DSLR statement. I have told you below that the most advanced MILC cannot and will never match the most basic entry level DSLR performance-wise. Why don't you provide arguments why we should choose MILC over DSLR's? To answer your question who this is suited for? Mom's and Pops who likes to crop the heck out of every photos, DSLR users who want to travel light and newbies in the DSLR world. DSLRs are a better option if you're a mom/dad who wants to take pictures of moving kids/pets. (DSLRs focus faster than mirrorless cameras.) DSLRs are a better option if you want a built-in viewfinder at an affordable price. (With Sony NEX, you have to pay $1349.99 to get their model that includes a built-in viewfinder, the NEX-7. In addition to working better in sunny conditions, built-in viewfinders allow you to stabilize the camera with your face, reducing the chance of blurry photos.) Olympus PENs have mediocre sensors, so they aren't a particularly attractive option. 24MP is overkill, but it should be good for people who want to do a lot of cropping. Nope, mirorless cameras are much better for moms&dads, lighter, smaller, better IQ, and camera sales clearly indicate that, despite the fact that they cost more than comparable DSLRs. Regarding the technical points mentioned here, they are not based on facts. Panasonic m4/3 would focus in a split second, absolutely dead on target in every but very dim conditions. It's a fact. I've used Canon DSLRs for many years, front-, back-, mis-focusing, lens hunting are very common issues. Precision of contrast-based AF is much better than phase-based. High end DSLRs do have an advantage focusing in low light and fast moving objects, mirorrless haven't covered that segments yet. Regarding viewfinder, modern EVFs are a lot better than any optical VF on Nikon or Canon - brighter, more precise, with a lot of useful information, only worse in low light. The sensors in MILs are very high quality, all latest Panasonic/Olympus/Sony sensors have superb IQ, no wonder Nikon buying sensors from Sony. Totally agree with forpetessake. My GH2 focuses faster than my previous Nikon D5000 and my previous Canon 550D in S-AF mode. Its lighter, IQ is just as good in most situations, smaller lenses, etc. Makes more sense than entry DSLR for Mom & Pop. Where DSLRs shine are at the high end, the FF cams. Not the APS-C. Just look at the new Oly E-M5. IQ is just as good as DSLRs, its faster, more responsive, weathersealed, lighter. Those who have never used MILCs shouldnt comment. @forpettesake...good god, I just hope I didn't read what you just said. You said you used to shoot DSLR's and you make all these gibberish DSLR statements??? In very bright situation, a POS camera will match af with any DSLR anytime anyplace but in low light, I guarantee you, DSLR will beat MILC by a mile. If want to discuss sensors, check out DXOMark..why is a 3 year old DSLR D3000 have a better score than the J1 which was just released LAST YEAR??? Again, performance and ergonomics in DSLR's are more advance. So what if Nikon buys sensor from Sony? Honda bought Toyota's engine blueprint on all their hybrids. That doesn't mean they don't know what they are doing. They know their limitations and know where they are good at.
" Regarding viewfinder, modern EVFs are a lot better than any optical VF on Nikon or Canon - brighter, more precise, with a lot of useful information". it is a lot of things. Not that. But one thing I agree on - you need to go FF to reap the biggest rewards in DSLR-land. Annie liebowitz shot all the background scenes for the Lavazza calender with a canon compact.then printed them so big it was used as a background drop at the actual studio shooting . guess what, they make all those cameras for people who are gonna buy it and use it according to their needs. hope am not too fast for you. Do they come with zoom lenses? Upgrading from a D70 with a bag full of Nikon lenses already.. I browsed someones work and its nothing special, its just like point and shoot photo taken with an expensive gear. I can say photo quality is good because of good camera specs. I'm just a photography beginner in the sense that there is a lifetime road to travel ahead. Though technology doesn't create a talent, it does help it to thrive. A talented person more than anybody else would know the limitations of the equipment and more than anybody else would benefit from the technological improvements. But even a mediocrity can produce a better c**p with better equipment. So technological advances is always a boon. I have nothing against the rich amateurs collecting expensive gears, but thats how the way it will be. They will stay as amateurs and not as artist. I'm also an amateur collecting gears, but at the least I maximize the technology of whats in my hand and learning to produce pictures. I admit that I haven't had the chance to maximize the potentials of my camera. There is more to photography than just having new gears. 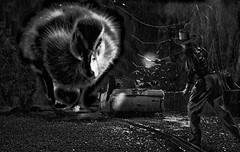 Try to recreate Ansel Adams work with today's technology. His Photography is a work of art. Another artist is Annie Leibovitz, she uses Canon, Nikon, Mamiya, Hasselblad systems but when she produce pictures, it does not come with the Camera Brand. So for the Nikon-Canon debaters, go out and produce pictures. Yes, the most advanced DSLR's are expensive but still depends on the photographer. It does however, just like any tools and the more you have it makes your life easier. People need to stop saying that camera specs aren't important, that is the pure BS! if it wasn't important we'd all be using phone cameras and all of the camera manufacturers would be out of business. We are here for the technology, we discuss it, use it, love it. It makes our lifes easier and better every time they improve some aspect of it. Painters should stay out of internet and go paint something. Yes I agree, higher iso noise resistance for example makes evening photography MUCH easier & when focus systems are improved it makes life a hell of a lot easier. Micro four thirds have made for example Street photography easier for compact users and users in general which don't like to pack big. And honestly? 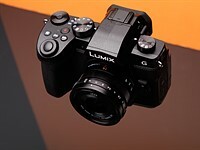 If I were not in micro four thirds right now & actually had a job, I would get this camera for portrait & street because I could crop quite a bit. Vladik: You are absolutely right. Of course, if you're shooting snapshots to view at 800x600 max, or in wallet-sized photos, it doesn't matter what you use. Too many people assume that everyone wants to limit themselves to this low standard. Try shooting action shots of an osprey diving and grabbing a fish 200-300 yards away--with your cell phone. Try getting a high-resolution picture of a surfer, in bad light, who is half a mile out on a wave--with your low-end P&S. Then try to look at the picture and guess what it is. It's silly to say that equipment doesn't matter. If it didn't, then all the great photographers from Matthew Brady and Ansel Adams on would always use simple box pinhole cameras. Even the pioneers of photography toted the best equipment they could get their hands on. Because it helped them take better pictures. A photographer's skill is not defined by the camera specs, go out there and create pictures instead of debating on which brand is better. A painter cannot be good because of the brush or media he uses. 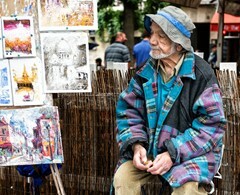 The painter creates paintings and art, just like a photographer. For those of you who rely on camera specs and brand, try to give yourselves a different perspective. "The person behind the camera viewfinder is the one who creates the photo and not the camera". Micarr, totally agree with you. I've always painted, made my living from it for some time & many years ago sold my first picture ( a drawing ) that was done on a thin bit of paper, using a pretty 2nd grade pencil. I sold many more produced like this becuase I simply used what I could and was almost going to say didn't know any better..! Truth is, I wasn't that concerned & it wasn't so much any limitation offered by the tools as I managed well enough. Maybe some of these drawings would've been better on high-quality paper, drawn with high grade graphite, but I doubt it, because the tools, while basic, were good enough and it was the drawing that counted, not the means of expressing it. I can transpose this to photography and imagine getting a Hasselblad while having the photo skills of a gibbon. Obviously I'd still produce rubbish. The new wonder - cameras are accessible and seductive; but, lovely as they are, they don't make us good photographers - we have to learn that. Im a nikon user, but to all those that say my *** is bigger than yours... just shoot pictures. It doesnt matter what you use. If one is talented, can shoot great shots with an iPhone. so stop with this "my *** is bigger than yours" like little kids and go out and shoot pictures. the reality is that these days, there are no bad cameras. For this reason, I have moved back to large format and film. concentrate on the art of photography, rather than camera specs. Just kidding but yea the camera doesn't matter as much as the photographer however it DOES matter how good your camera is but not how big it is. You can be a great photographer with a bad camera or a bad photographer with a great camera and get worse results than the great photographer, however we must not deny that Camera gear is important in many aspects like noise performance & focus speed in low light. The best Photographer is the one who can adopt to all types of photo media, whether its a camera phone or a high end DSLR. The photographer makes the photo and not the camera. The Nikon-Canon war is nothing more than a brand marketing. To all of you who still believes that one brand is better than the other, go sell your gear and quit photography. Photography is not for you. I have shot great stuff with my iPhone. it doesnt matter what you have, the best camera is the one you have with you. For this same reason, I have gona back to film, and I tell you, I havent had this much fun since my AE-1. I have gone between cameras so fast I did not even have time to learn where the on switch is hehehe. But now I have gone for an e-m5 & couldn't be happier however I really wish I had something other than the kit lens, I am working on that right now. Camera's are a lot like shoes, you need to find the size that fits you & stick with it. Canon vs Nikon vs anything else, how about just take photos and quit complaining about witch one is better because if you can't produce a good photo from any of the cameras regardless who made it... you have no buisness having one in the first place. Bah Kodak rocks them a..... hang on isn't it bankrupt? Yup nevermind, As long as your having fun with your camera and photographing that's all that counts really. Canon DSLR still the best !!! DPREview, when giving specifications for video, give us the PAL equivalents as well please? be careful with what you wish for...lol~~~more likely Sony will announce the acquisition of Nikon (okay i am exaggerting here Sony is not in a good shape either)...or maybe Canon will buy out Nikon. Every new Canon DSLR will feature a red line on a grip in the memory of a well-respected rival for the past so many years. oh here they go again, now come on FANboys , pack up , time for your kindergarten trip. DSLRs is a dying breed. Nikon should focus their attention on mirrorless market before it's too late. Yeah, keep on dreaming. There are places for each types but mirrorless will never replace or even match DSLR's technology. @ ocir, keep on dreaming, mirror is a liability, not an advantage. The mirrorless will not doubt drive DSLRs off the market in the next few years. They are more expensive now, but the prices will inevitably go down, and then who's going to buy the outdated DSLR technology? Nope. There are certain areas where the reflex mirror will shine through, and will continue living. I don't believe it's the end of SLRs. Well, yet. 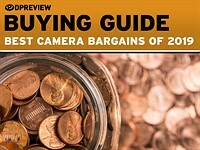 Nikon and Canon DSLR sales continue to increase. Nikon estimated sales of 4.7 million DSLRs in their latest fiscal year, and Canon predicts sales of 9.2 million DSLRs this year. (Source: Reuters.) The DSLR is alive and well. @forpetessake, do you even know what you are yapping about? The more you open your mouth, the more naive you sound. If price is your only reasoning for the death of the DSLR's then you need to do more research. The best MILC can't and will never match the most basic DSLR performance-wise. Do me a favor and read up on crop factors, ISO's, ergonomics, buffer, hdr, etc...and you will realize that DSLR's will never go away. As MILC improves it's technology overtime, so will DSLR's! use both a mirrorless and dslr first....AF speed can not be comparable...most of the times, i miss speed of DSLR AF...i used many mirrorless cameras and AF on all of them are like a turtle whereas DSLR's is a rabbit...now i'm thinking of jumping to a small dslr system just because of AF speed. People have no idea what they are talking about. AF on mirrorless cameras might be slightly worse in low light, but a lot better in good light: it's a lot more precise and faster than most DSLRs. I have never had a bad focus or lens hunting on my Panasonic G3 and I've seen plenty of bad focus and lens hunting on Canons and Nikons before. So those claims about DSLR advantage are just laughable. why MFT owners are so clueless ? I have used a lot of DSLR camera's and own my second mirrorless now the E-M5 and I can safely say DSLR is here to stay as are mirrorless camera's just like Rangefinders and Film SLR's stayed together since the dawn of time. They simply can't be seperated no matter how much you wish they would. Troubling that ideology trumps observation here too often. 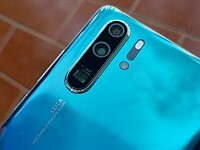 Although rants about the 'megapixel war' are most popular posts ("24MP for entry level camera is absurd" is highest rated comment), these unfortunately don't square with the scientific and technical story of DP over last 10 years - which is that sensor (and to a lesser extent software) evolution have allowed cameras to have both higher resolution and better low light performance simultaneously. Although at any given point in time, higher pixel density sensors generally have poorer low light performance than lower density ones, there is wide spectrum of performance on this (witness LL performance of latest m4/3 sensor in the new Olympus ILC). 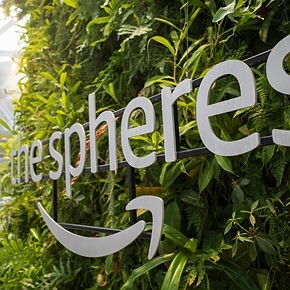 More importantly, over time, newer (higher resolution) sensors have at least equaled, if not exceeded, the low light performance of the older generation systems. 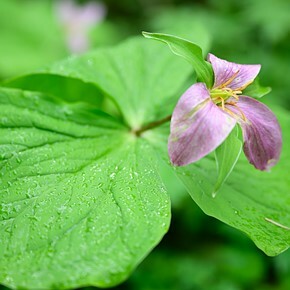 Witness the surprising low light ability of the D800 sensor, which is remarkably close to LL performance of D3 sensor. The pixel quality of all bayer sensors is not that great. It takes somewhere between 8 and 16 sensor pixels (depending on LP filter and demosaicing algorithm) to get one well-defined output pixel. The same ratio I would use when comparing lens resolution and sensor resolution. The latter should be at least 10x higher to not hamper the lens performance. Thus if a good lens can have 2000 lph, the sensor should have at least 6000 pixel/heigh to match the lens performance. I wouldn't be surprised to see a heated race to get to 50MPixel APS and m4/3 sensors in the next 5 years before cooling off. As long as they can balance noise vs megapixels I celebrate more megapixels. If Noise reduction started to suffer against the megapixels then I would not be happy. But so far it seem's to balance out nicely. No, just by simple and unscientific observation. I see a major resort park regularly as well and I'd suggest the mix seems to look closer than one might think. although the majority seems more likely to be P&Ss and camera phones, not dslrs. Especially the ease of reading the neckstraps of those unworried by the idea thieves target the biggest brands only. In Iceland 80% of the market is Canon, so your point is? It depends on what country/city you live in which camera brand is more popular & everyone has they're own flavor. Does nikon d3200 has built in focus motor? no, if it does then the price would be higher. Nikon D3200 was announced in the Czech Rep also on the 19th with the availability at the end of May and at the body+kit lens price of $800 (includes 20% VAT). No sample pics. 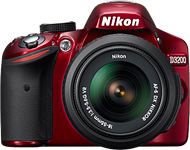 I've taken gallery quality photographs with my Nikon 5200 (12.1 MP), because I always have it with me. Convenient that it has image stabilization, of course. On the other hand, I bought my first Nikon F Photomic in 1964 with the f1.4 lens, when visiting the Olympics in Tokyo. Over the years I enjoyed various Nikon cameras, and ever an Olympus now and then. I've loved film photography, I migrated to digital around 2000, and I still use the original Fuji S2 in my studio. However, probably because I've enjoyed painting with acrylics for years (for enjoyment, not serious sales), a digital photo is the raw material to develop and satisfy some sort of intuitive vision. Most viewers see the result as being a fine, though I may have spent hours diddling around with it. Or sometimes I'll just go on ahead and create something more artistic. I may even end up with several versions (a labor of love). Considering my approach, the more megapixels the merrier! Creativity breaks the rules! wait, you've taken photos with a D5200? That has IN-BODY IS? or Coolpix 5200? D5200 does not have in body IS. Heck, Nikon does not even have IS, they have VR. Lol! I'd sure like to buy your 12MP Nikon D5200! I'll pay almost any price for one! Now why would anyone buy this with $699 when you can get the D5100 kit for the same price (after recent cuts)? Seems like a good camera, this. Although what everyone is ranting on abt the higher megapixel bothers me. What's so bad abt more pixels?? In most cameras, more megapixels means more image noise. What ends up happening is some companies try to find that sweet spot of pixel density for each sensor size, and some just try to shove in as many as possible to impress people. > more megapixels means more image noise. Absolutely, the DXO testing shows a wide spectrum of low light performance for a given pixel density – and more importantly shows that in the context of progressive technical development, sensor performance involves both more resolution and better low light performance. 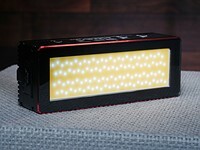 The D800 sensor is close to the low light performance of the D3 sensor. All this raises troubling questions about all the condescending comments to the effect that extra megapixels are just there to seduce stupid amateur photographers who don't even know how to shoot in raw (or similar sentiments). 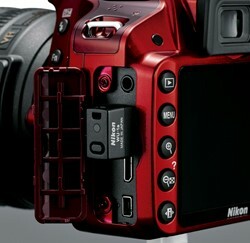 Right thing to do now is to release a firmware update for D7000 that will enable use of same WU-1a unit. 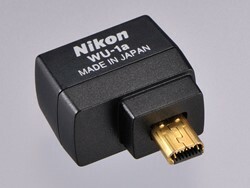 And YES, a simple firmware would alow use of this adapter on any of Nikons miniUSB equiped DSLR's. I hope dpreview will check on whether the metering problems that seemed to have been cured in the D5100 are corrected in the D3200. I'm very much looking forward to reading a full review. Full power to dpreview's elbow! And thanks. Just three short years ago when I was buying my Nikon D40 I wouldn't have believed it was possible for an entry-level camera to have this amazing specification. Digital camera technology has advanced so quickly. 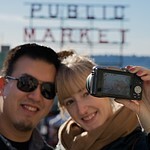 Mind you, my D40 still takes beautiful photographs, far better to my eye than my D5000 or D7000. 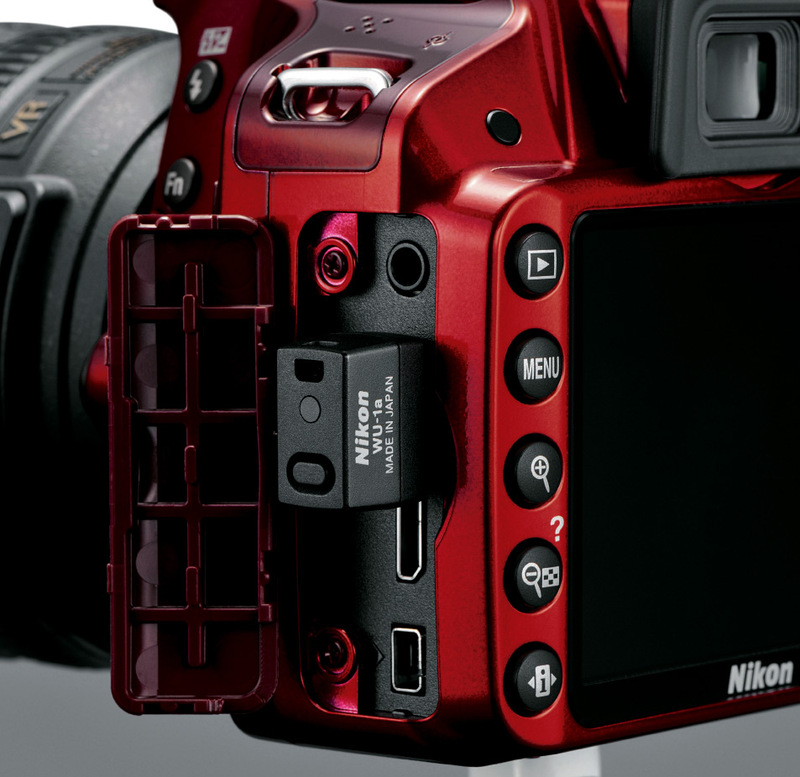 Walmart, Best Buy and Target... prepare to sell thousands of these new entry-level Nikons. If I wasn't such a camera snob, I would buy one too. For me it is FX or nothing. Right on 'target', and perhaps tens of thousands of sales per vendor (don't forget Ritz). 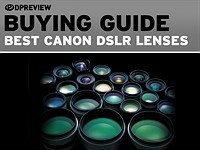 Many novice and home-style camera users will find this the answer to several perceived needs. FX or not most users won't know/care. I AM a camera snob, and I may buy one (to replace my D200) as my haul-along digital to compliment my Mamiya medium format and Sinar view camera 4X5. Film below 400 speed trumps digital hands down at 8X12 and up prints. I take film for framing prints, digital to send in email. Yeah, I'm a snob.But I sure like Nikon stepping up and bringing an amazing 24MP to the masses. It's quite obvious that the sensor is Sony. To suggest otherwise is nonsense. It is totally illogical to imagine any other scenario, especially given the fact that Nikon have used Sony made sensors in the past. But that is not the whole picture. Nikon will have their own processor and supporting tech architecture plumbed into the sensor. As a result, I think we can expect excellent IQ. 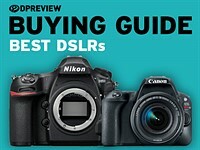 Nikon have already demonstrated with the D800 that they can make high MP sensors produce decent noise performance. The D800 is way too close to the 5D3 in noise performance than it should be considering it has 60% more pixels. The difference is not large. This means that the extra MP comes with little sacrifice in terms of noise. Expect the cheap little D3200 to perform the same trick? Probably. Now over to you, Canon. What ya got ??? you think you're the sole genius, eh? I dont understand what the problem is with 24mp? Lots of people crop their pictures - especially those less experienced. 24mp is like having a longer lens ! And if there is little sacrifice in terms of noise performance ( as witnessed with the D800) then whats the problem? Storage is cheap, so that is not really a criticism. That's strange. According to DXO, the D800 beats the 5D3 on all counts. Could you point us at any reputable review sites that claim otherwise? @lensberg, have you grabbed D800 files and downsized them to 22mpx? At the same resolution the 5d mk III is outclassed by the D800. Furthermore you have more control over how much detail you have at the same resolution at higher sensitivities. whininng like a true fanboy! !,have you had either camera in your hand? no, i bet you havent even seen either in real. sure at 25000 iso it´s jpegs are bit cleaner ( and mushier) because it´s actually 16000 iso, the fact is you need 2/3 slower shutterspeed to achieve the same exposure at same ISo. only dimwits will set iso first and then the SS and Aperture. it dosent matter , a fact is a fact, none of those testers at DPR or IR are any more Pros than FM either. a fact presented with evidence is a fact . why is it hard to swallow?. what´s more it´ll replace all my 3 camras. 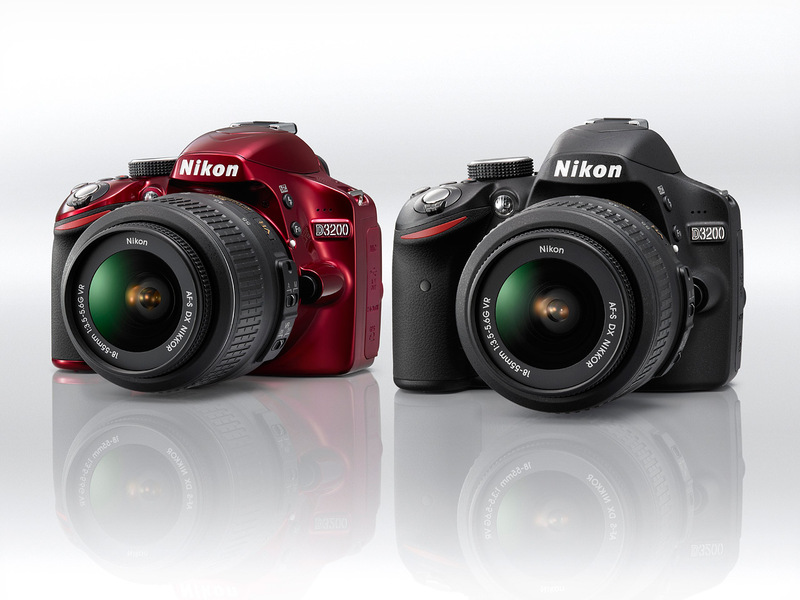 d300, d700 and 1Dmk3 , it´s actually a 3 in 1 cam buddy. So what? What is the point you are trying to make? You get a lot of value for next to no money. Look at the samples - very, very good for what you pay. now calm down , eat your biscuit , drink your milk ,stop crying no body is lying kid,why would anyone lie ? those pixel numbers are what the camera saves and their RAW software is meant to interpret ,it dosent mean the sensor is actually 24.2 Mp. it could be even 24.6 or .8 whatever. well, nikon sensors are fab´d by various companies. and guess what, these various companies might be doing it wit Nikkon steppers. even sony.Nikon is one of the biggest stepper manufacturers out there . Nikon designs - a fab fabricates with Nikon doing the final work on them. Chip design and fabbing are two different phases mostly done by two different companies. Bring a design, big order, and truckload of money, and IBM will make anything for you. it is just business as usual. well, it´s clear that you are a whining canon FAN BOY kid, why are you whining about a nikon camera ? Instead of blabbing with speculation...have a look at some of the images being released by users....look at some of the you tube vids...and you might change your mind. Just heard Canon have announced the 8d!!! 80MP sensor. It will be the best camera ever because of that. Amazing Stuff! Memo to Canon: you are completely wrong in releasing the 8D with only 80MP sensor. An EOS 1200D with APS-C and 240MP will be more appropriate: it will take Nikon 10 years to get even competing the normal way in the design section or 6 months if they will get some help. But guess what, because Sony supplies of APS-C sensors & GPU will not make it for catching up in 6 months, you (Canon) will see AMD & nVidia sensors soon to be developed and produced by GF or TSMC for Nikon and, when the market segment will be "eye candy", by Intel. Then Microsoft & Apple will develop the firmware for Nikon and sell it for 500$. So, after a breakthrough deal, your camera will not be able to function without the OSs provided by M (for APS-C cameras) or A (for FF cameras), because Nikon will have exclusivity. Cool... Canon 5D Mk VIII will run on Linux. Sort of. Very true Zerg2905. And don't forget that Samsung are in there too. Somewhere, I hear Spock snort from his corner in the Starship Enterprise. Don’t let the D3200’s compact size and price fool you—packed inside this easy to use HD-SLR is serious Nikon power: a 24.2 MP DX-format CMOS sensor that excels in any light, EXPEED 3 image-processing for fast operation and creative in-camera effects, Full HD (1080p) movie recording, in-camera tutorials and much more. What does this mean for you? Simply stunning photos and videos in any setting. And now, with Nikon’s optional Wireless Mobile Adapter, you can share those masterpieces instantly with your Smartphone or tablet easily! Not Sony, unless the Exmor line has taken a whole new packaging approach. Could be new Aptina, Sony, Nikon or ? D3100 was Nikon design fabbed by unknown. 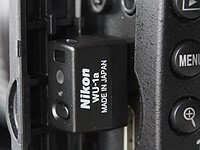 Nikon says "designed by Nikon" regarding the sensor. So i doubt it is a Sony sensor. "What does this mean for you? Simply stunning photos and videos in any setting." So will I still have a stunning image of a mountain on the horizon using macro mode? Or a very nice photo of a flower in high sun in low-light mode? It's astonishing that you guys still believe that Nikon MAKES (fabricates) sensors. They don't. They give specs and design targets to the truly big technology players (mostly Sony as they clearly like Sony sensors), and then spin their design and microlens specifications into the press release that you guys are really misinterpreting. Designing a chip and making it are two radically different technology challenges. Making CMOS chips from scratch is probably a 3 billion dollar tech investment. If Nikon was MAKING chips, you'd hear about it. It's a Sony chip, with some Nikon design work and specification. Both the Sony sensor the the Nikon sensor have identical vertical resolution, but the Nikon sensor is slightly smaller (23.2x15.4mm, vs. 23.5x15.6mm for the Sony), so the photosite pitch is by necessity smaller as well. So this is probably *not* the same sensor used in the A77. Who cares if it's a Sony or Nikon sensor. The fact is that Nikon is brilliant at getting great results after processing the output from the sensor. 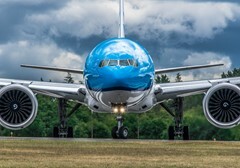 Boeing uses Pratt & Whitney and Rolls-Royce engines. Does it make any difference? Do you care that much about the engine as long as it provides good specs? This Sony sensor rants do not add any value, do not solve any problem. Now Nikonian the mystery here is, why we, the users of D300 (top DX model) wait the longest time for a contemporary upgrade? I feel like having to wither and die before getting the new model. Meanwhile I even bought Canon 7D, and sold it year later, now using the D7000 and waiting, waiting, waiting for something more customary. 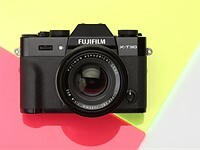 In short: where the heck is the D400 ? Nothing against the D3200, seem that Nikon has resolved the pixel deficit, which surely bring them advantage with some buyers, who measure pixels first. The positive is though that these new Nikon cameras have also a great high-iso capabilities. I dropped the Canon 7D instantly once I got the D7000. Previously I always carried a Canon for the evening shots. 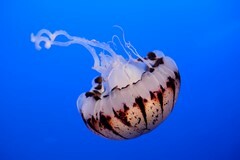 For example the D200 was with ISO 400 already visibly in disadvantage. The generic question here is though: With 24-36 Mpix, is the pixel race finally over? Can we focus on other novelties, like HDR, floating point raw format? You could make a huge upgrade from the D300 to D700 which is also a lot cheaper than it used to be. Yes, you can get better high ISO performance and video if you want to pay more. But you won't get better high ISO performance for less money than the current price of a D700. So the D700 will still be a great upgrade from the D300 or any other current ASP-C camera if you don't care about video. Nice camera, I am very happy with my D3100 as an entry level camera. I don't see why someone who needs an affordable SRL could need anything else. I think this would be a great travel camera. Light weight, compact, cheap but sharp lenses available. I even like the red colour b/c if it get's stolen (which is quite possible in some countries) you have no problem identifying it. This might be all the camera you need for world travel. Good point. Maybe Nikon is secretly going into the SD card business. This camera will eat them for breakfast! Haha, what a bullsh$t. Get out of your cave, 1300 "large fine" JPEGs take up a single 16 Gb card which is a very common size nowadays. Eating up memory? Memory is so cheap these days! Just get a couple 64GB cards. As soon as those doors are available as parts, I'd buy a spare and experiment on cutting it to close around that dongle. A shame to have to do that, but a fun experiment nonetheless. This is going to force Sony's hand to come out quickly with an entry 24MP because their new Sony A57 suddenly isn't looking so good. And no screw in D3200! Only lenses with motor! Is it good for camera with such a price point? A57 works with all lenses. Most people buying the D3200 will be using AFS lenses with VR (most likely a high-ratio zoom). They won't need the motor. LOVE the red color !! Whats with the negativity about the red version? Hint to armchair camera gear nerds - using a black camera with a massive lens does not mean that people will look at you and think you look cool. Even if you had a 1dx and massive white zoom , you still don't look cool. Pretending to be a pro? Secretly hope people seeing you may think you are a pro? People still don't think you look cool. Red ( or any coloured cameras ) are cool. They are cool because it means you don't care about looking serious. They are cool because some subjects tend to take you less seriously and this is useful when travelling. The guy with the black cameras, photo vest, big bag, fast zooms. He will never be cool. I include myself in this category. We should just face the facts. Looking like a serious photo freak is not cool. For this reason alone, coloured cameras are cool because you are telling the world that you don't care and you are just having fun. I could not agree more -go red! Noobs crop. ALL THE TIME. That is what "Nikon guy" you refering to was talking about. I've been shooting digital for over 10 years, and I crop all the time. All this noob talk is silly. Seems much better priced then the Sony version. Having long shown their high-level 12mp SLRs (D700 etc.) offer top quality images without the excesses of high MP rates, Nikon are now playing the Canon card. Megapixel Wars again? We thought these two giants had put that nonsense aside. It might be the best budget cam ever. Higher quality images? – Maybe. Many a pro will say differences between 12 and 18mp cameras are slight unless you print high-detail posters. If Nikon bring to a budget cam the quality of its 24mp D3X, okay, but I suspect this is about no more than selling the “bigger and better megapixels” charm to novices who seldom print past 8x10 and shoot on Auto, who would see no difference in their pics between this and a 12mp model. Whilst people pay, manufacturers will find increasing MP an easy route to sales. Nikon are not providing high MP at bargain price for altruistic reasons! Perhaps Nikon sees the growth of CSCs as hitting their base models and the MP card is the easiest one to play against newer technology. But it doesn't convey a serious gear. Not gonna happen, based on sensor size, but it might be close! No,no. Not at all. It won't out score the d700 either. But it is a great little camera for a very low price. My wife loves red cameras. I don't. The holidays are a great time to take pictures — and they're a great time to get a camera for yourself or for a loved one. With more than 50 cameras going through the hands of the DPReview team over the year, we've seen it all (or so we think). 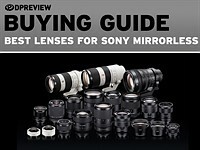 Based on our collective knowledge we hope this guide will help you make an informed decision on which camera will fit your needs. In this penultimate part, we look at consumer-level DSLRs. We've just updated our in-depth review of the Nikon D3200 entry-level DSLR to include a page of information about Nikon's WU-1a Wi-Fi adapter. The WU-1a arrived in office as we were preparing the review for publication so we've spent the past 48 hours using it, before adding it to the review. The WU-1a allows both wireless image transfer to a an Android smartphone or tablet, or to use the device as a remote shutter trigger (release of an iOS version is planned for fall 2012). Click here to read our updated 21-page review. We've just posted our in-depth, 20-page review of the Nikon D3200 entry-level DSLR. The D3200 builds on the the company's line of simple, accessible beginners' DSLRs by adding a higher-resolution screen, boosting its continuous shooting rate and adding details such as a microphone jack and infrared remote sockets. And then, of course, there's the 24MP CMOS sensor, making it by far the highest pixel-count camera in its class. Does its impressive specification translate into class-leading performance? Read our review to find out.